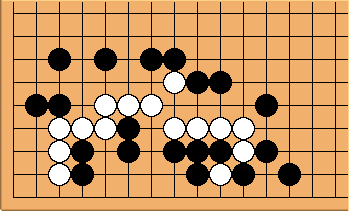 In the corner, White can only make an L group so she will have to capture some black stones in order to live. This is quite a tough problem. The Kanazawa Tesuji Series globally increases in difficulty, i.e. the tough problems get tougher and the easy ones less easy #:-7. I can already draw attention to Gokyo Shumyo, Section 1, Problem 52 as being very hard.